The Maritime & Coastguard Agency (MCA) is to increase its fees for the first time in over ten years – giving it the flexibility to invest further in the services it provides to the maritime sector. From November 13, 2018, the Maritime & Coastguard Agency (MCA) will increase most of its fees across the whole of the U.K. The fee increases have been carefully planned, with a public consultation carried out in 2016, so industry and all those affected have been involved every step of the way. As a result of this active consultation with industry, it was agreed to introduce some fees in stages to reduce the impact on both businesses and individuals. Consideration was also given to the impact on small-scale operators. 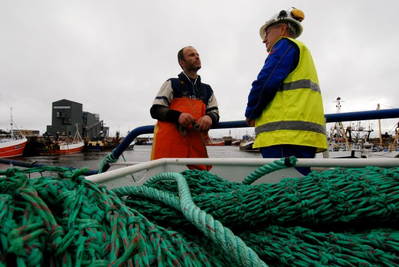 The survey fee increase should only affect 11 percent of fishing vessels – about 600 – as only those 15 meters in length or over need to be surveyed. The phased increase in fees will cover fees to survey a vessel and the seafarer medical examination fee. from £120 ($155) to £147 ($190) per hour in November 2019. The Seafarer Medical Examination Fee will increase in three stages from £80 ($103) to £115 ($149). The increases will be from £80 ($103) to £95 ($122) (November 2018), £95 ($122) to £105 ($136) (November 2019) and £105 ($136) to £115 ($149) (November 2020). All other fees will increase in a single increment from November 13.